If you’ve gotten an email with social media sharing buttons in it, you’ve more or less seen the extent of most social media and email marketing strategies. True cross-channel campaigns between email marketing and social media marketing channels are few and far between – it’s hard to coordinate and execute at the same time, especially given social’s real-time, two-way nature. But with live social media feeds in email, brands can create entirely new experiences in the inbox and maximize social media engagement – and ROI – at the same time. We don’t expect much from brand emails. If we get a great sale, we’re happy. Social media, on the other hand, is something we expect to be entertaining and unpredictable. Aside from keeping up with friends (or at least stalking them), there’s an endless amount of multimedia that people can watch, listen to, and share. That’s why people spend a lot more time on social media channels than checking their inboxes: the content changes and it’s dynamic. With live social media feeds, you can bring that experience to the inbox. This offers a way to connect your social and email channels like never before. We talked about how Saks used Instagram and email marketing to power a contest, but here are three other ways you can use live social media feeds to take social media and email marketing strategies to the next level. As part of Hyatt’s welcome email for newly arrived guests, the hotel chain shows the latest Instagram photos at the bottom of the footer. This helps add a dynamic, human element to the guest’s experience and stay. It also incentivizes recipients to check out the Instagram channel and follow the hotel there. National Geographic wanted to talk about the Future of Food and extend the conversation as far and wide as possible. 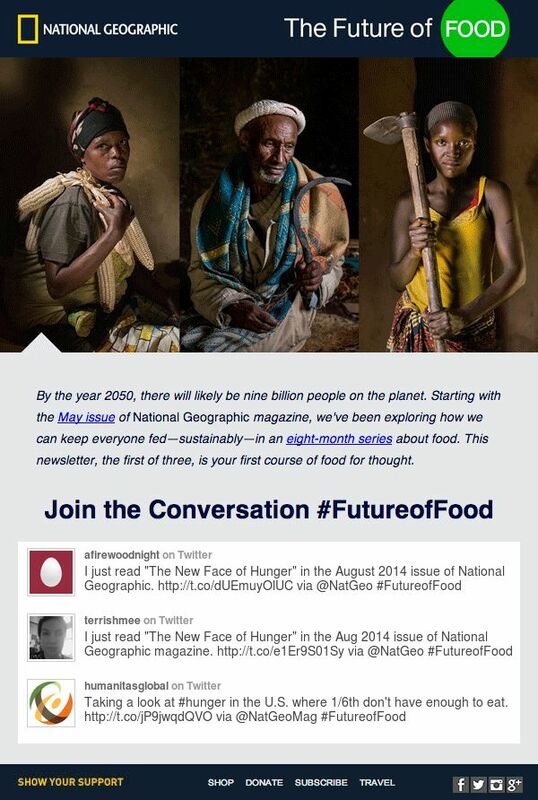 To encourage cross-channel promotion, the media company included live tweets from the hashtag, #FutureOfFood. This spread awareness around the project and allowed email subscribers to view the conversation in real-time, even if they weren’t on Twitter. 3. Promote an Event in Real-Time. When you host an event, you usually only email the people who are attending it – but what if they just couldn’t make it? 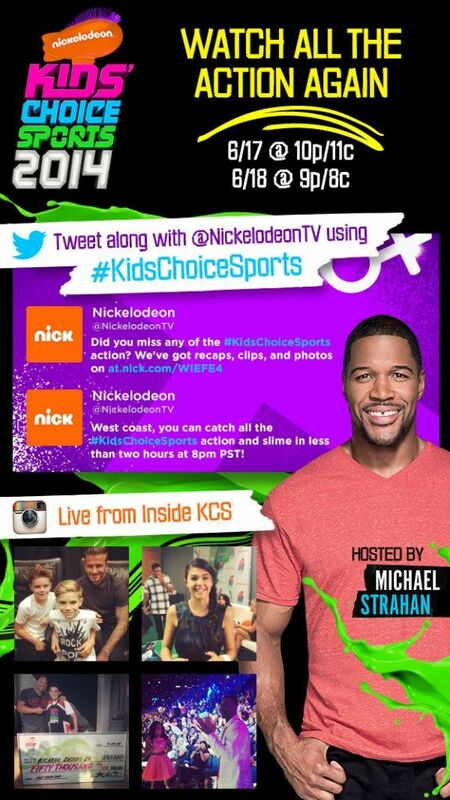 Nickelodeon, which has also used weather-targeted, contextual marketing in email, decided to promote the Kids Choice Sports Awards by showing off the latest social media activity on Twitter and Instagram. If users refreshed their email, they would see new content. That meant they could keep up-to-date with the event without even leaving their inbox. Live social media feeds in emails help overcome the traditional barriers that hold brands back from fully integrating email and social content. That’s why they’re the future of email and social media marketing strategies. When you can coordinate campaigns and get subscribers engaged with social content, you create a truly social email and guarantee a better reach of the material. Even if someone clicks one tweet or Instagram photo, that’s a hundred percent more engagement than if you just had social share buttons at the bottom of the email. By integrating live social media feeds within email campaigns, brands won’t just change how email subscribers engage with social channels, they’ll engage how subscribers think of email in general. Even if they’re not interested in the sale that hits their inbox that week, recipients may still just open it to see the latest conversation or beautiful scenery being shared on the brand’s social channels. This entry was posted in Email Marketing on April 27, 2015 by Blaise Lucey.